The Sgt. 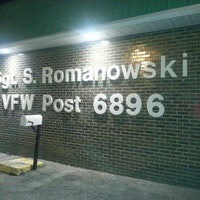 Stanley F. Romanowski Post #6896 of the Veterans of Foreign Wars was founded on May 12, 1946, in the gymnasium of Munger Intermediate School at 5525 Martin Street on Detroit’s west side. The Post was named after Sgt. Stanley F. Romanowski, a World War II hero. 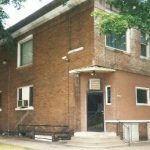 However, the Post’s earliest roots date back prior to May 12, 1946, when a group of veterans began meeting informally in the basement of the Jarzembowski Funeral Home at 4405 Wesson Street across from St. Francis d’Assisi Catholic Church. 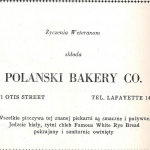 Leonard Jarzembowski, the son of Polish immigrants, had founded the funeral home in approximately 1918. Joe Romanowski, brother of Stanley, a cigar salesman for the R. G. Dun Cigar Company, was one of Leonard’s best friends. The men gathered regularly in the basement of the funeral home to shoot pool. One night they decided that they should form a veterans’ post, and the Sgt. Stanley F. Romanowski Post #6896 V.F.W. was born. Leonard Jarzembowski, who remained in the U.S. during his tour of duty, was named an Honorary Member of Post #6896. Stanley F. Romanowski was born in Detroit on November 4, 1918, to Stanley and Josephine Romanowski. 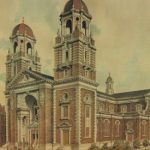 He attended St. Andrew Parochial School and St. Josaphat High School in Detroit. He graduated from Chadsey High School in June 1937. He enlisted in the U.S. Army in April 1941, where he was assigned to “G” Company, 126th Infantry, 32nd Division. He fulfilled his training at Camp Livingston and Fort Devens, and in April 1942 was deployed to Australia. From there, in September 1942, he was sent to New Guinea in the southwestern Pacific Ocean, where he was assigned to the Second Battalion. The Second Battalion played a major role in the Allied forces’ first land defeat of the Japanese in the battle for the Pacific. This took place after a prolonged fight in the rugged terrain of the Owen Stanley Range, a mountain chain in Papua, New Guinea. Today the trail has become a popular tourist site for pilgrimages, especially for Australians, because of the pivotal role it played in the battle for the Pacific during World War II. On November 30, 1942, Sgt. Romanowski’s battalion was sent to Buna Village at Papua, New Guinea, to seize the Japanese forward base there. General Douglas MacArthur was confident that his officers and soldiers could secure Buna swiftly since the Japanese troops had grown weary and were severely battered. However, it became evident at the start that MacArthur’s troops were in bad shape. They lacked basic equipment, specialized clothing and waterproof items necessary to endure the rainforest conditions of the jungle, insect repellant, food rations, and even fuel for heating food. Still, believing the operation would be brief and supplies would soon be replenished by air and sea, the troops remained confident. inst Buna Village, and the exhausted and starving men were reduced to shreds. They had also given up hope. The 3rd Battalion, 127th Infantry, whose men were energetic and well equipped, went in to relieve them. It was on the evening of December 5, 1942, near Bouttcher’s Corner, that Sgt. 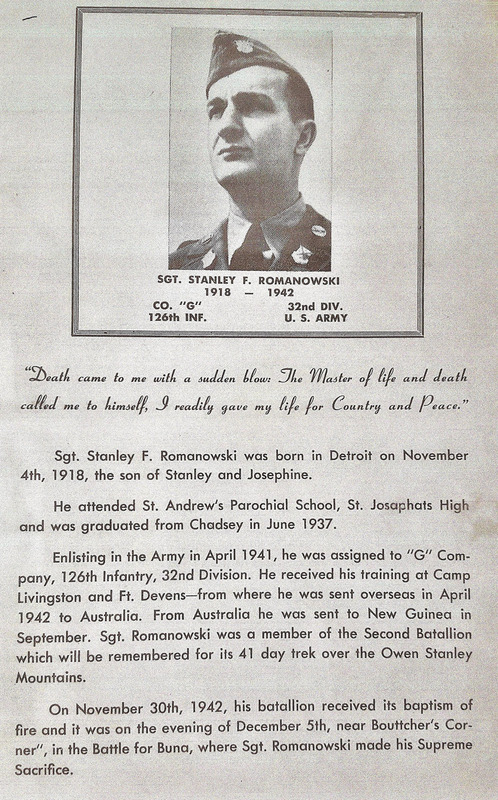 Stanley F. Romanowski lost his life in battle. Buna Village finally fell on December 14. The Buna battle resulted in the deaths of 1,400 Japanese at Buna alone. As of January 6, 1943, the 32nd Division had lost 353 men, including Sgt. Stanley F. Romanowski. Another 1,508 had been wounded and 93 were missing. The Buna area was finally secured on January 3, 1943. Buna Mission would not be taken until a few days after January 9, 1943. The Allied losses in the Papua Campaign totaled 8,546 killed and wounded. Of that number, those killed in action from the 32nd Division totaled 687, including Sgt. Stanley F. Romanowski. Another 2,161 were wounded or lost from other causes. Selfless charity, a spirit of intense camaraderie, and public service became the hallmarks of the Romanowski Post. It has served its members, the 4th V.F.W. District, the Detroit area, the City of Dearborn, Wayne County, southeast Michigan, and the community at large for 70 years, earning a well-deserved reputation for generosity and hospitality. It grew to become the largest Post in the Department. Among its members is State Representative John D. Dingell, who has been proud to call the Romanowski Post his home Post. Throughout the years, the Romanowski Post established the Post Blood Bank, which serves both members and the public; spaghetti dinners to support muscular dystrophy research; and the Christmas Needy Basket Program, which provides food for families suffering hardships. A Ladies Auxiliary and a Dads Post were added, as well as numerous clubs and leagues that have provided outlets for charitable service to the community, social interaction, and fellowship. The Post was also known for its Friday night fish fry dinners during Lent. 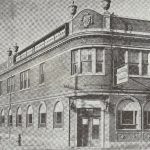 It was a popular venue for bridal showers, baby showers, small wedding receptions, and banquets. 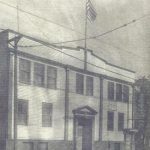 In 1949, the Romanowski Post moved to its new home at 4300 Lonyo, south of Michigan Avenue, on Detroit’s west side. In 1965, the Romanowski Post captured the Drill Team title of Department Champions, which title it has long since held, and twice it has hosted the V.F.W. National Convention. 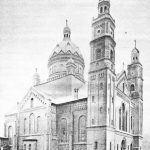 In 1992, west side Detroit’s St. Stephen Parish held its 75th anniversary at the Post. In approximately 1992, the Post moved to its location at 28945 Joy Road, east of Middlebelt Road, in Westland. 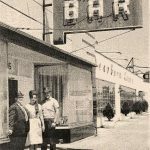 Four years later, on May 1, 1996, Romanowski Post celebrated its 50th anniversary. State Representative John D. Dingell was proud and honored to give the keynote address at the celebration marking 50 years of dedication to the broader community. According to a March 27, 2016, Observer & Eccentric newspaper article, a proposed sale of the building at 28945 Joy Road to House of Faith International Ministries Church is pending. Rezoning and Special Land Use to CB-1 (Religious Institutions) were approved by the Westland City Council in March 2016. It is currently unknown if the Romanowski Post will relocate and, if so, to what location.